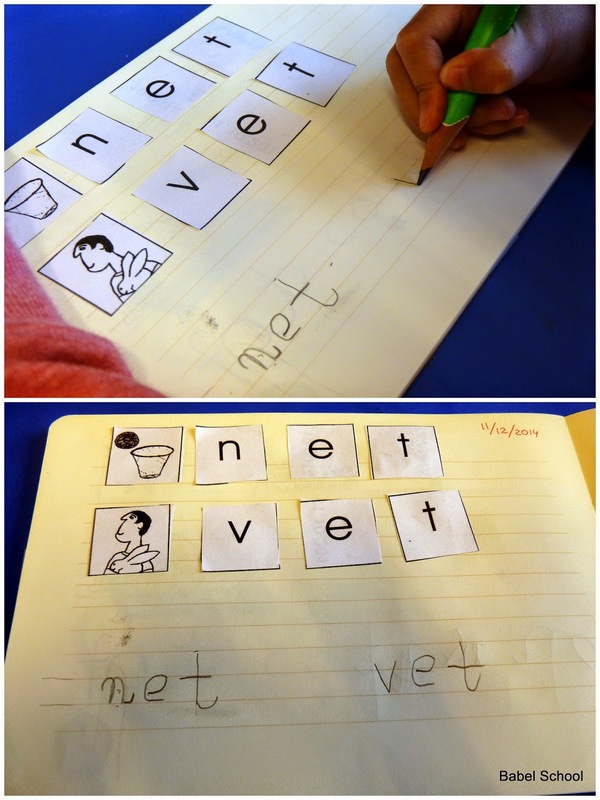 In my previous post about CVC (consonant-vowel-consonant) words I wrote about CVC word lists. 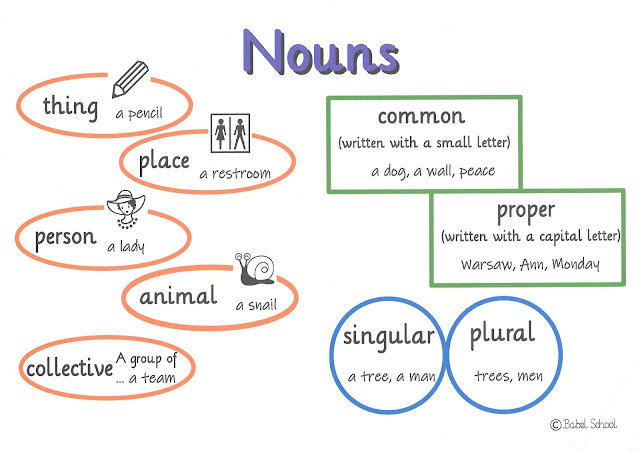 This time I would like to show you what are the other exercises Ania has done with these three-letter words. The materials I am using are from Phono-Graphix reading method, but they can be easily made at home. Years ago I finished a course in this method and got certified as a reading therapist. 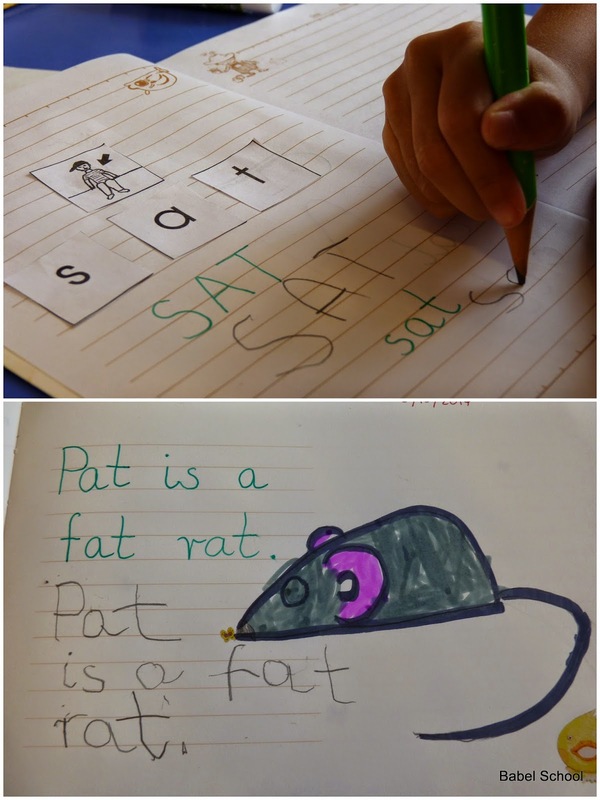 While working in a Montessori School in England I used Phono-Graphix to teach reading. Now I have pulled out my old materials to teach Ania. Ania likes cutting with scissors so I let her cut the letters out by herself. 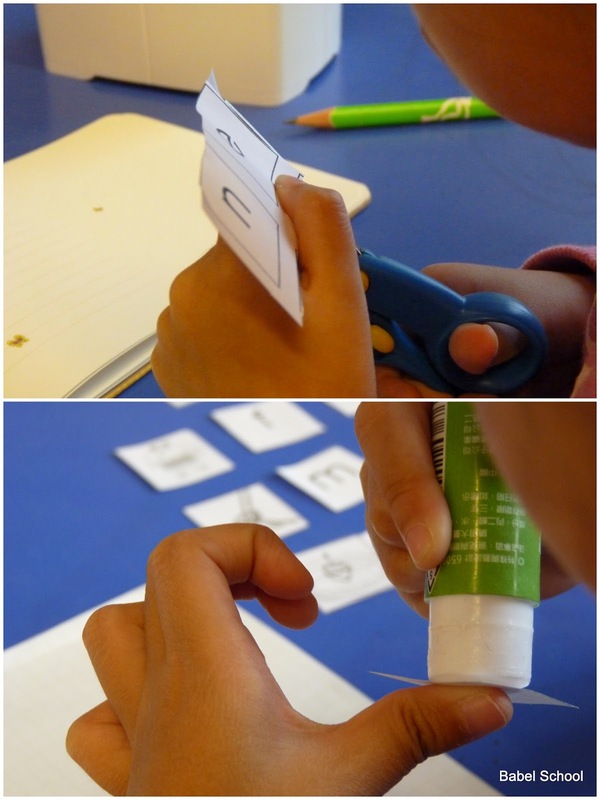 She arranged the letters to form words corresponding with the pictures and glued them in her notebook. 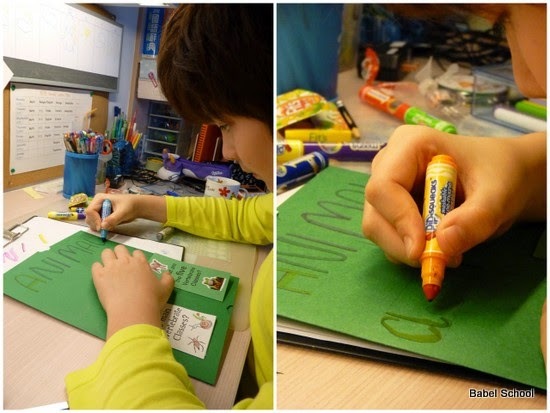 (Doing it in a special notebook instead of just a piece of paper, makes it look more important for the child). Next exercise involved writing the words down. 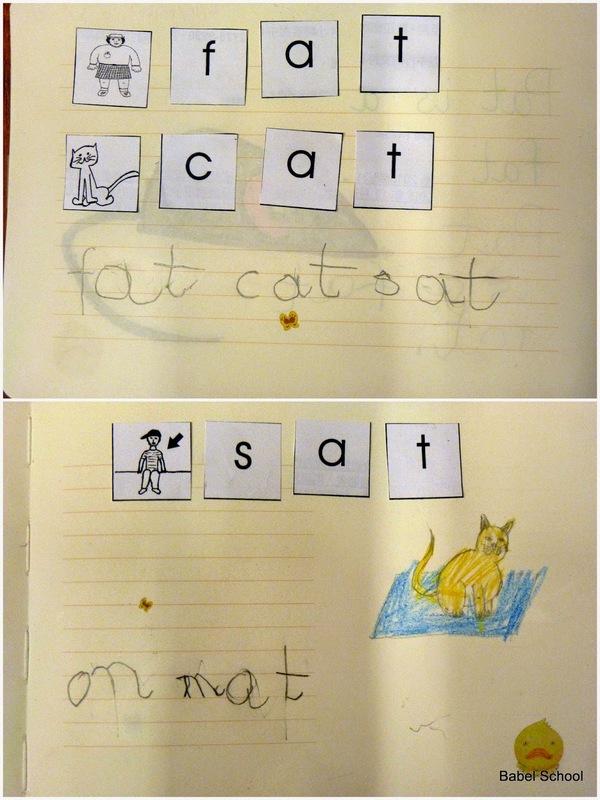 On a different day I asked Ania to copy the words in upper and lower case letters and also to copy a sentence. She truly enjoyed it. Looks like my youngest one loves writing! 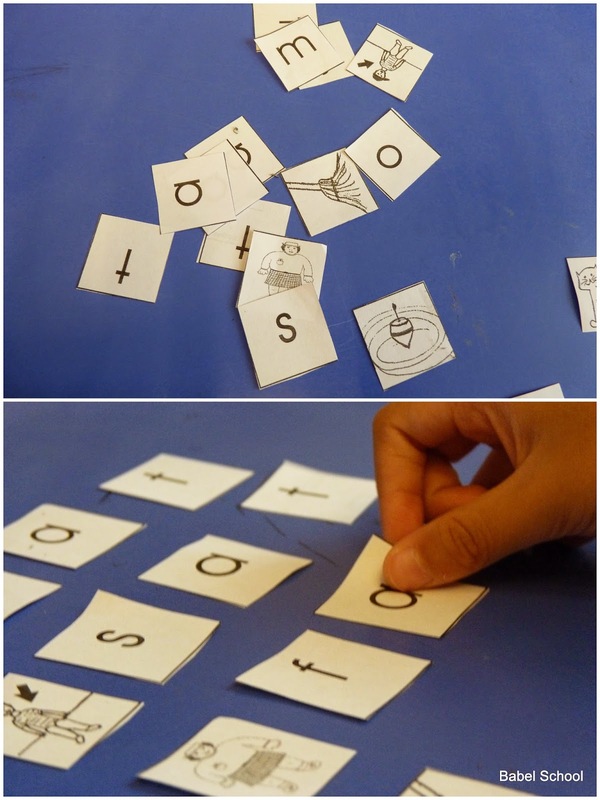 Come back for more ideas on CVC words exercises!